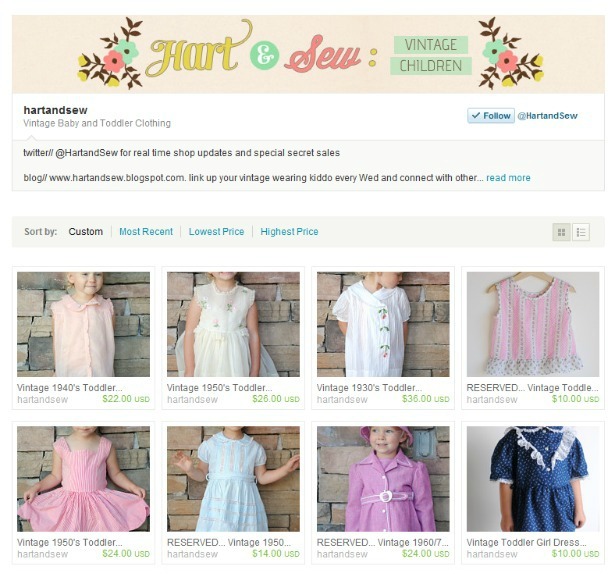 hart + sew | Vintage Baby Clothing: shop update: NEW look! The etsy shop got its own little makeover to match the blog's new look. Head on over to check it out, along with some pretty new dresses I just listed! I love everything about your new look! Fabulous. ive been thinking of getting someone to makeover my blog. doing it myself is hard and so time consuming! !